Check out Tobi's Sometimes Faux Suede Jacket It's outerwear even winter can't handle. 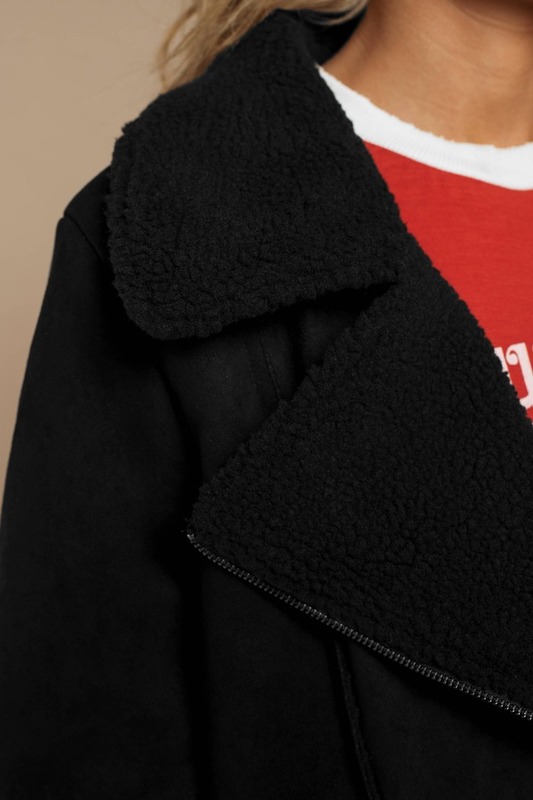 The Fifth Label's Sometimes Black Faux Suede Jacket puts faux suede on beautiful display, featuring vegan suede and faux shearling, oversized notched collar, asymmetrical front zipper, button details, and large faux shearling cuffs. Cover yourself in comfort with this faux suede biker jacket and pair it with skinny jeans and booties. It's outerwear even winter can't handle. 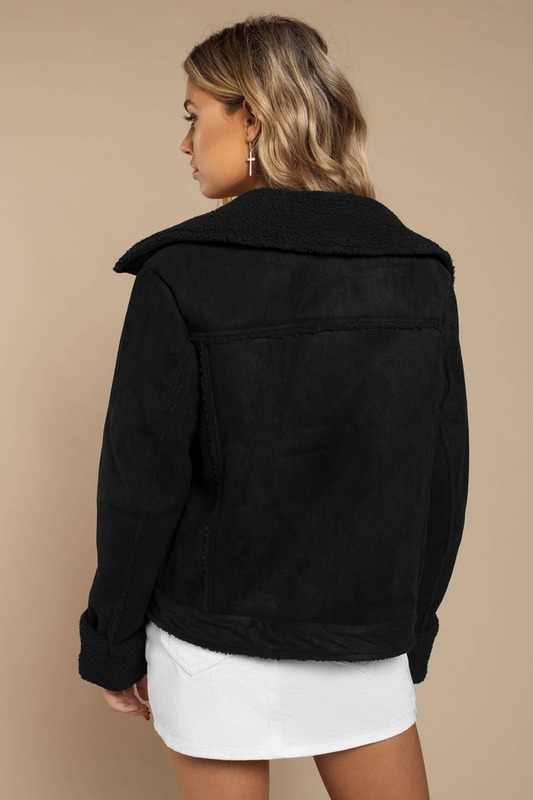 The Fifth Label's Sometimes Black Faux Suede Jacket puts faux suede on beautiful display, featuring vegan suede and faux shearling, oversized notched collar, asymmetrical front zipper, button details, and large faux shearling cuffs. Cover yourself in comfort with this faux suede biker jacket and pair it with skinny jeans and booties.